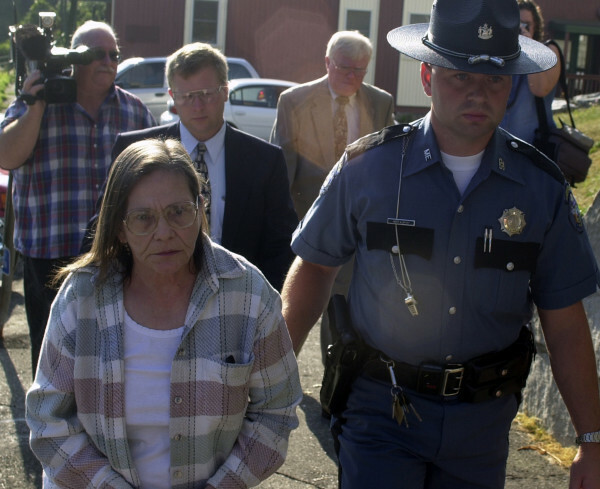 Norma Small is escorted into Kennebec County Superior Court in August of 2001 for her arraignment on charges that she had her husband killed in 1985. 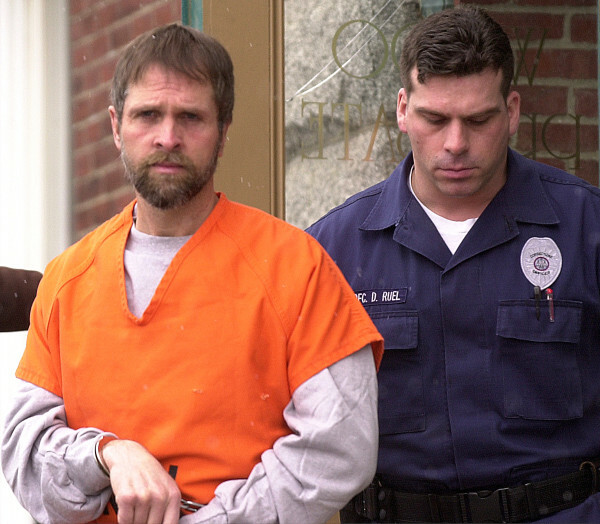 A corrections officer leads Joel Fuller (left) from Waldo County Superior Court in Belfast on March 9, 2001, after his arraignment on a murder charge in connection with the 1983 murder of Mervin "Sonny" Grotton. Michael Grotton couldn’t believe it when he learned a production crew from CBS was planning to do another true crime show on the 1983 murder for hire of his dad, Mervin “Sonny” Grotton. It would be the third time a television station has aired a program on his father’s death in the 15 years since his mother, Norma Grotton Small, and two other people were indicted for his murder. Small was found guilty in August of 2002, but Boyd Smith, who testified that he had connected the woman with a hitman, and Joel Fuller, who was accused of pulling the trigger, were found not guilty on the murder charge. When asked why CBS was interested in the case all these years later, Alec Sirken, a producer for “48 Hours,” said the network is creating a series that will feature real cases solved by the Naval Criminal Investigative Service, or NCIS. He told the BDN the production team’s reporting “turned up a twist” that may shed doubt on some of the facts that people have believed for the past 15 years. That twist likely has to do with the potential that Fuller, a legendary Waldo County criminal serving two life sentences for drug-related homicides, is telling the truth when he maintains he did not shoot Sonny Grotton. But Michael Grotton said he doesn’t buy it. Grotton had just turned 16 when his father was murdered, but the years have not faded the memories of his dad, a Navy chief petty officer who remains an important, positive influence in his life. Grotton described his father as a “very geeky” guy who loved gadgets, was very intelligent and believed you had to put in effort before you could be good at something. Norma Small and Sonny Grotton married young and had suffered a tragedy in 1959, when their three children — a 4-year-old, 2-year-old and 7-month-old — perished in a house fire. Michael and his two sisters came along later. Nevertheless, Sonny Grotton, a high school dropout, did not get lost in grief but worked hard to make a career in the Navy. Grotton said he has to work to remember his father as his father, not as the man lying dead on the front lawn. This latest true crime depiction of Sonny Grotton’s homicide investigation won’t help, and although the producers wanted him to come back to Belfast to be interviewed for the show, he turned them down.